Jio was launched two years ago to empower every Indian with the power of data so that they could do magical things. In less than two years, Jio garnered a subscriber base of over 215 Million users, creating a world record of sorts. While it was evident that most of the 4G smartphone users were adopting Jio and enjoying the world-class services at the lowest price anywhere in the world, a large majority of the feature phone users that constitute two-third of the Indian mobile user base got left out. Even though the services became affordable, this segment of 500 Mn feature phone users could not afford even an entry level 4G smartphone. This gave birth to the JioPhone, which was launched by Reliance Retail Ltd in August 2017. Affordable Device: The Monsoon Hungama Offers brings down the entry barrier of the JioPhone to only Rs 501. This makes it affordable to 100% of phone users. World-class service at the most affordable price: Jio provides the best-in-class data and true-HD voice calling at the lowest price anywhere in the world, with attractive tariff offers for JioPhone users. 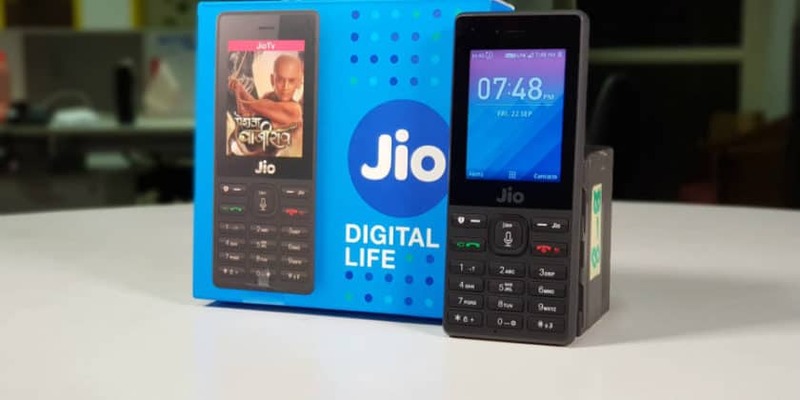 Best in class applications: JioPhone users are already enjoying premium applications such as JioTV, JioCinema, JioMusic, JioChat, Google Maps and Facebook. Digital Freedom: Like any other high-end 4G smartphone user, JioPhone users are also able to enjoy entertainment, education, information and other important services, at will. After successful completion of the trials, for the first time, WhatsApp will be available for JioPhone across India. WhatsApp built a new version of its private messaging app for JioPhone, running the Jio-KaiOS, to give people a simple, reliable, and secure way to communicate with friends and family. The new app offers the best of WhatsApp including fast and reliable messaging and the ability to send photos and videos — all end-to-end encrypted. It’s also easy to record and send voice messages with just couple taps on the keypad. To get started, JioPhone users only need to verify their phone number and then they can begin chatting with other WhatsApp users one-on-one or in groups. Reliance Retail has created a special helpline number ‘1991’ to answer queries on the JioPhone. JioPhone Becomes the Largest Selling Phone In India 0 out of 5 based on 0 ratings. 0 user reviews.